The inspiring people at Create the Good improve communities around the world by connecting volunteers with opportunities. To build traction for one of their campaigns, we helped develop an infographic and interactive microsite. It’s difficult making decisions when there are a huge variety of options to choose from. 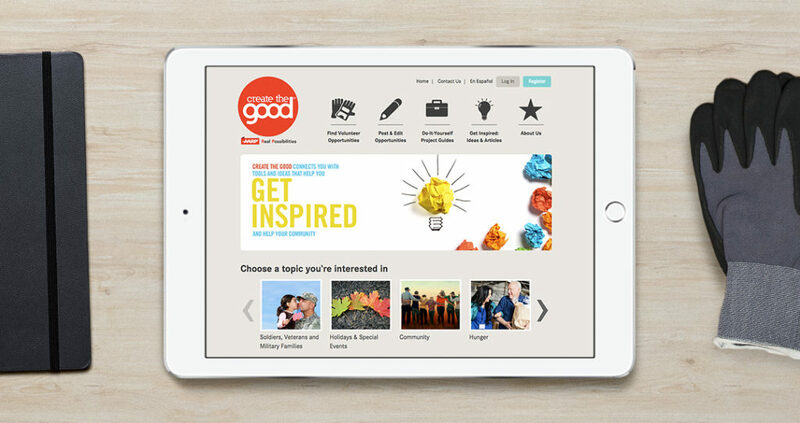 Create the Good provides a lot of opportunities for its users to pick from. We built an intuitive tool to help users locate nearby community projects. We also integrated a simple slider on the homepage that lets people see random jobs to choose from. 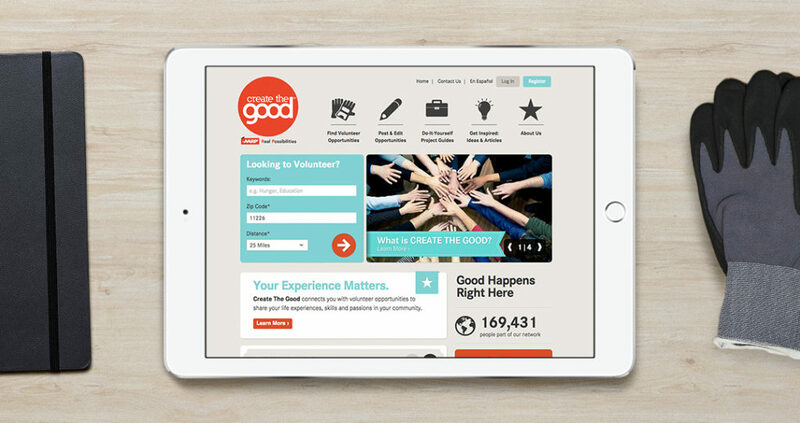 So far, Create the Good has gathered a network of 169,000 users! The best part of all is how much good they have already achieved.